Since 1985, Inco Services has led the pulp and paper and other processing markets with specialty construction solutions. 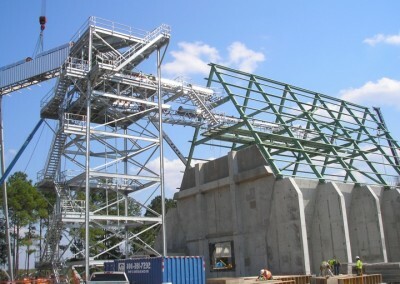 Our strength lies in our ability to self-perform all phases of field work on major industrial construction projects throughout the southeast and other regions. We are unique in our ability to adapt our established strengths to each customer’s project demands across the spectrum of heavy industry. As a result, our long-standing and recurring client relationships are testaments to both our successful specialization and market diversification. 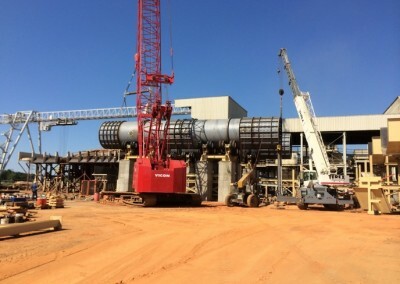 Inco has earned a reputation throughout the southeast and surrounding regions for constructing facilities to accommodate a wide range of industrial process and manufacturing needs. We deliver services for pulp mills, paper and tissue mills and power plants. Inco performs the majority of its work as firm, lump sum projects. With us, clients can rest assured that the price quoted is the price paid. Just some of the products we work with include fourdriniers, rewinders, boiler feed conveying systems, evaporators, continuous and batch presses and liquor tanks and clarifiers. 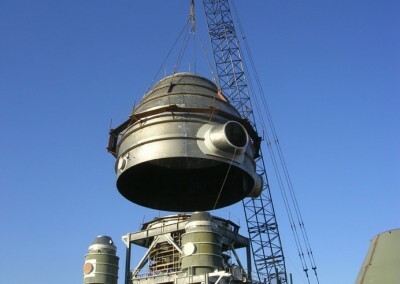 We also specialize in electric power generation and environmental compliance. Inco is responsive to clients’ needs, as we focus on timely performance of high profile, fast-track projects in a variety of industrial settings. Inco’s executive management teams and field superintendents are committed to working closely with clients to ensure projects are handled smoothly and successfully. Whether it’s a complete turnkey installation of a peak shaving electric power plant or integrated discipline total plant construction, Inco delivers work that you can be proud of. At Inco, we pride ourselves on being able to deliver high-quality projects through the safest practices, while still meeting work deadlines. Inco has an industry-leading OSHA safety record and a comprehensive training program. We utilize a well-trained quality control department that employs extensive testing and inspection methods to ensure that each project is completed in accordance with all client, industry and code standards and requirements. Inco is committed to the continual improvement of craft employee’s knowledge and skill level through rigorous and regular training.